No matter how late you've slept after coming home from work, coffee is perhaps the only thing that gets you through each morning. From the 15th century onwards, the delicious coffee bean has been used for making a variety of drinks, both hot and cold. But irrespective of the type of coffee you enjoy, be espresso, macchiato or cappuccino, nothing is more important than selecting the best home coffee maker. All coffee aficionados understand that when it comes to a delicious and aromatic cup of blissful coffee in the morning, the brewing temperature of the coffee should be optimal. Traditionally, the best temperature you should brew your coffee at is 195oF to 205oF. Brewing it near 205oF is ideal. Going above this threshold will boil the water, which means you will eventually boil the coffee beans, losing both taste and quality. So, when you are out shopping for the best home coffee maker, ensure the apparatus has three different temperature settings. The machine should provide you with a choice of temperature, for example, regular, hot and extra-hot. Who has the time to grind coffee beans, steam the milk or press the coffee when you have 10 minutes to get to work? The answer, nobody! Thus, it is important your coffee machine should prepare a mug of hot, aromatic and fresh coffee in the blink of an eye. Don't go for a coffee machine that will take up half your morning to make a cup of coffee. A coffee machine with all these functionalities is the perfect choice for you. Don't go for expensive, over-complicated coffee makers. After all, you are looking for a pot of fresh and delicious coffee. Yes, you're right, this is more of a control than a feature, but it is an important consideration. 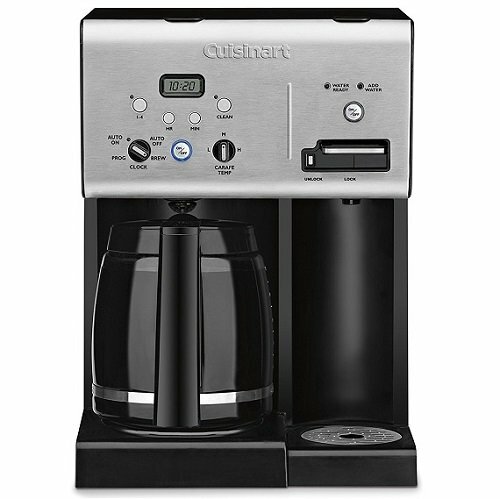 You need a coffee maker that gives you the option of making mild, regular or strong coffee. We all have our preferences, but when you've overslept and are drowsy and have to get to work or college, you need a strong mug of coffee to give you the jump start to begin your day. 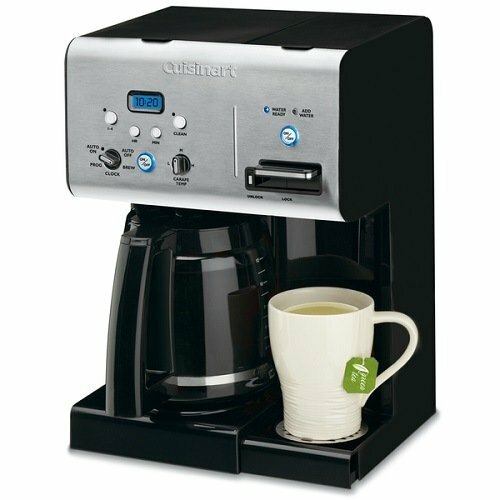 The best home coffee maker will provide you with Regular and Bold coffee brewing options. You can adjust the intensity of your brew, also giving you the option of altering the flavor of your coffee beans. There are plenty of reasons why filtering is an important consideration. The coffee you brew comprises of water. This means the quality of water can significantly affect the intensity and taste of your mug of coffee. This is where it is so important you get a home coffee maker with a quality filter. A good filter will help eliminate all the impurities in the water, which can hamper the taste and aroma of your coffee. This brings us to the importance of not investing in a disposable coffee filter. They aren't expensive, but the cost of the filter will add up if you use a new filter for every batch of coffee you make. Plus, disposable filters are not effective. They can be overly flimsy and will also let all the coffee grind escape through the mesh and into your cup. 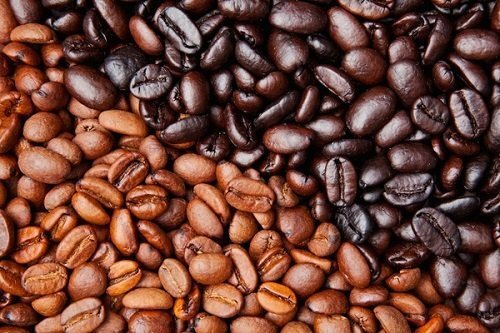 Plus, disposable coffee filters can also prevent the coffee bean oil from escaping in the brew. 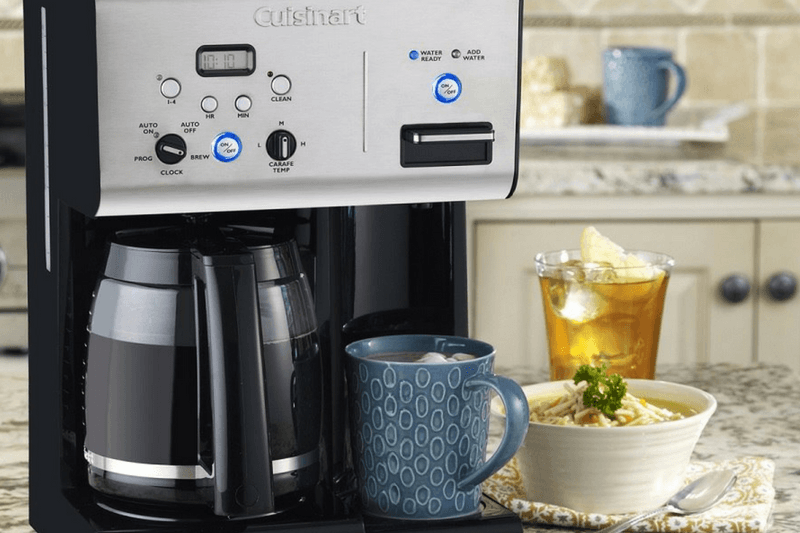 Opt for a home coffee maker with a built-in coffee filter. For example, gold tones filters effectively filter all the impurities of the water along with letting these essential coffee bean oils pass through and mix in the brew. 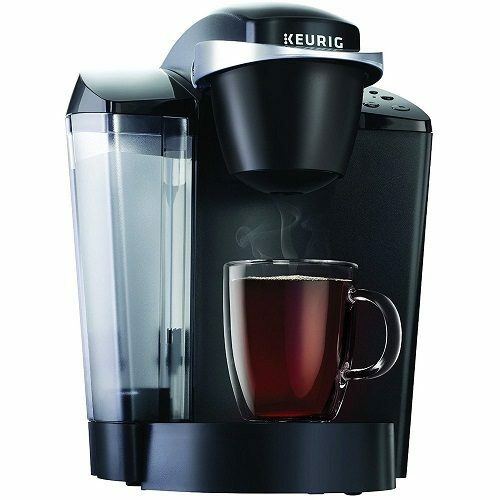 The ﻿﻿﻿﻿﻿Keurig K55 is a traditional coffee brewing machine that is easy to operate. 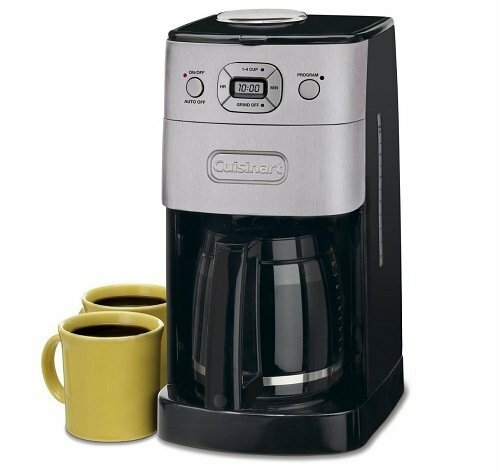 With a single button for turning on/off the machine and 3 additional buttons that let you select the size of the cup you want to make, the coffee machine can be a great addition to your home. There are lights that indicate each step of the brewing process. This is an all-in-one coffee brewing machine, which means you can make tea and hot chocolate in it. The machine comes with a separate dispenser for water, perfect for creating different types of hot beverages. The Cuisinart CHW-12 can be operated on both sides at the same time. This is a pretty unique feature and most high-end coffee machines do not have this functionality. 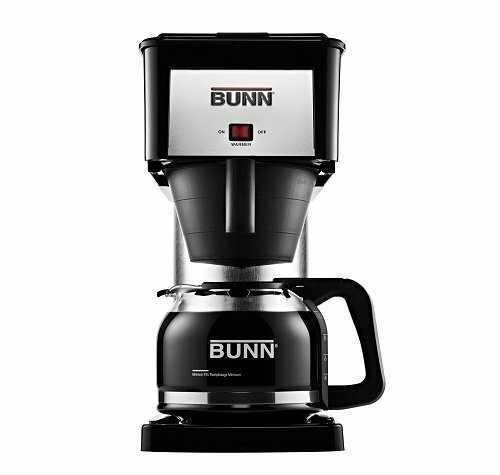 Talk about fast coffee brewing, the BUNN BXB Velocity Brew coffee machine can brew up to 10 cups of coffee in 3 minutes. Yes, it may as well be designed with a jet engine. However, the fact of the matter is, it isn't an automatic coffee machine, but is still simple to use. This is also the reason why the product has become so popular. 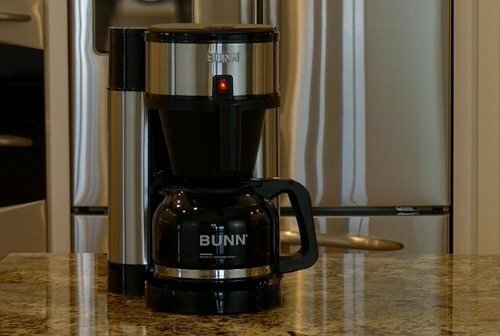 A majority of people say the BUNN BXB Velocity is perhaps the best home coffee maker, ever! What do you think? Let us know, leave a comment below!